More detailed information about the house, land and occupants can be viewed here. In 1312 during the turbulent reign of Edward II, the Prior of Worcester, who held the Manor of Hallow, obtained a license from the Crown to ‘impark’ 100 acres as a deer park, which included 40 acres of woodland. This became known as “Hallow Park”. It seems that the enclosure was not well received by the locals, or the citizens of Worcester, as it had been their custom - “time out of mind” - it was later claimed, to fish in the pools that were enclosed within the Park’s palings. At that time there were other economic and political tensions and they boiled over in 1346, when the Prior tried to claim the right to act as Coroner, following the murder in the Priory churchyard of John Carter, who was the son of a prominent Worcester citizen. The bailiffs of Worcester led the citizens in an attack on the priory church and tried to set fire to the monastery. Bands of rioters then came out to Hallow where they raided the Prior’s warren and fishponds carrying off from the warren 60 hares and 200 rabbits as well as “pykes, breams, perches and roches.” The Prior claimed that the rioters were guilty of trespass and those responsible were outlawed. One of the Bailiffs surrendered himself and was sent to prison. Of the other rioters twenty were imprisoned too and they and the Bailiff all died in prison, possibly of the plague. Things were not too peaceful in Hallow either in the first part of the 16th century, before the Dissolution of the Monasteries and Priories. Amongst the Hallow tenants at that time were William Colbourne and Richard Parker who paid the Prior a total of 53s 4d/£2.68p rent for their portions of the land within the Park. Richard Parker later murdered Richard Taylor and the law of that time meant that Parker had to forfeit all his "goods cattells and detts" to the Prior. These included a cow worth 9s/45p. After the Dissolution of the Priory in 1536, the Manor of Hallow estate (including Hallow Park) passed to the Dean and Chapter of the Cathedral. In the year 1541 in the “Itinerary of John Leland”, the Antiquary, it was described as “Halow a park withowt a howse a 2 myles from Worcester”. The 70 year lease of 1550 mentions that there were deer; a rabbit warren and a manor barn within the Park. from Queen Elizabeth I, rather than the Bishop. 1575 - Queen Elizabeth I’s “progress” in the West Midlands. She visited Worcester and hunted in Hallow Park and later dined at John Habington’s newly built brick house at Hindlip. 1581 - 23 September - Copy of a lease at the Worcestershire Archive catalogued as “Hallow Park to Queen Elizabeth (formerly leased to Henry Blounte, gent of Hartlebury; & part in occupation of John Abington (Habington) for 51 years. The remainder of a 90 year lease.” This seems to be a reference to the surrender of the lease on the death of John Habington, whose chief residence was Hindlip Hall. The 1581 inventory of his possessions included items at other places including those at Hallow Park, and provides the first indication of a house within the Park. Perhaps John was about to extend the house, or the farmhouse, as the Inventory states:- (Hallow) “in the fields where the corn was growing there were also 40 thowsand bryckes or thereabouts”. 1582/3 - March 3rd a new lease was agreed between the Bishop and John Habington’s sons, 18 year old Thomas Habington and Richard, his younger brother, it linked the ground rent of the Park and “all demesne other premises and parsonage and tithes of the manor”. 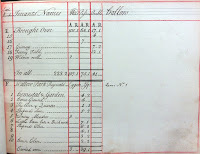 The Bishopric’s annual rent charge for the lease was £11 16s 8d for the Park and £20 for the Parsonage and tithes, the rent charge would remain the same for nearly 300 years. c.1603 (lease not found) - John Fleete Senior who lived at Hallow Park was MP for Worcester; Queen’s Attorney in the Welsh Marches and afterwards a member of its Council. In 1617 he endowed a charity for the Hallow poor and to pay for a minister to preach sermons. John Fleete Senior had two sons John and Thomas. He married again in 1603, to a widow Ann Wright nee Boughton, who was from a well-to-do family. Her daughter Jane Wright is believed to have married John Fleete’s son Thomas who died in 1620. 1619 - New lease to Thomas Fleete on the death of his father John. To read John Fleete’s will, click here. 1620 - Thomas died and in his will he stated that after the determination of his “loving mother in lawe” Anne Fleete’s estate, his wife Jane (nee Wright) should have, hold and enjoy for her own use the unexpired years of the lease - if she remained unmarried and his widow. Anne Fleete formerly Wright nee Boughton who is believed to have been both Thomas’s stepmother and mother-in-law. She did not die until 1658 and by then Jane her daughter, Thomas’s widow, had re-married and become a widow for a second time. To read Thomas' will, click here. 1646 - A Parliamentary Ordinance dated 9 October for abolishing bishops and archbishops and settling their lands for the benefit of the Commonwealth, led to a survey of the Bishopric’s Estates, including Hallow. 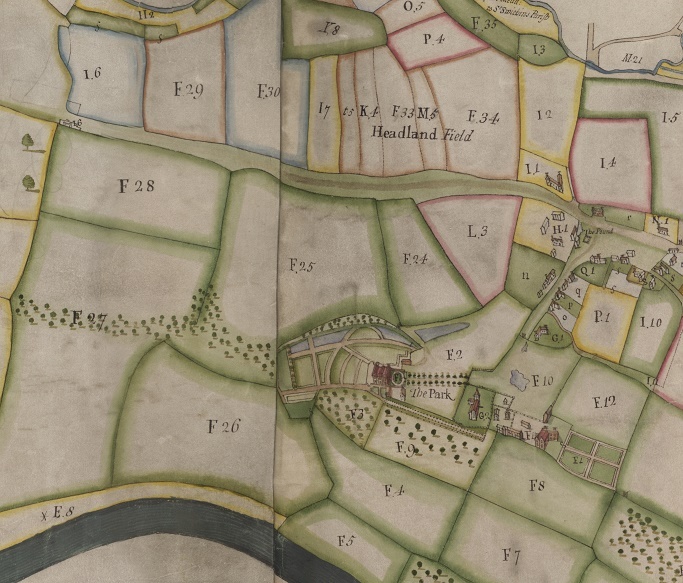 The survey showed that in 1647 Hallow Park estate consisted of the site of the house - 4 acres, the Park - 124 acres, a Field called the Oxleasow - 11 acres. Pasture - 29 acres and Arable land - 80 acres were scattered through the rest of Hallow and the hamlet of Shoulton. 1648 - In November the Parliamentary Commissioners sold the “Manor house” of Hallow to William Combe for £856 10s 0d - approximateley £73,000. He also bought the manor of Henwick and Woodhall, then in Hallow parish. William Combe was still occupying the house in the Park when he was made High Sherriff of Worcester in 1651. 1658 - Anne Fleete died and was buried in Westminster Abbey. Her grandson Thomas Fleete was the next tenant of the Bishop’s, having bought back the lease of the house from William Combe for over £1000. To read Anne’s Will, click here. 1661 - Thomas Fleete claimed that by an “unhappie accident” the house he had re-purchased had burnt down and asked the Bishop to review the terms of his 21 year lease. The Bishop agreed for some deductions in outstanding payments and that in future the lease should be for three lives and not for a set 21 years. 1667 - On Thomas Fleete’s death the lease passed to his two surviving daughters who later married - Magdalene (wife of Richard Williams) and Anne (wife of Ambrose Scudamore). 1678 - The Bishop gave permission for Thomas Fleete’s Hallow Park lease to be transferred from Thomas’s daughters to Edward Bull, a London business man and land speculator, upon payment to Magdalene and Ann of £1400. The lease dated 25 August 1678 shows that the Bishop gave Edward Bull permission “to build a substantial and convenient dwellinghouse”. It was just as well that the signing of the lease was a formality, as Edward had already ordered bricks to be made at Hallow Park by William Gloucester. Building work continued into the 1680’s. 1680 - 15 December. The Worcestershire Archive catalogue lists the surrender by Edward Bull of the parsonage of Hallow and its release to him for own life and those of Anna Lygon daughter of William Lygon of Madresfield and of Robert Steynor, who was the brother of Edward Bull’s late 1st wife Ann Steynor. 1681 - Edward Bull aged 50 married Anna Lygon aged 28, in January 1681. The new house was completed and the brook re-routed through the grounds of the house. Edward created a new orchard at Newland Hill near the northern boundary of the land. 1700 - Edward Bull died on 24 July and was buried at Hallow. In his will he instructed that after his wife Anna’s death the remainder of the lease of the Hallow Park estate should pass to her brother William Lygon of Madresfield, near Malvern, Worcestershire and so the Lygon family, later the Earls Beauchamp’s long association with Hallow Park began. It seems to have been the custom from at least the early 16th century to let the fields surrounding the house to sub tenants and Anna Bull did exactly the same. She also let out the house and retained some rooms for when she returned to the country from London. Correspondence with her brother, William Lygon, tells of her problems with the sub-tenants paying their rent. 1701 - Anna Bull sub-let the house in Hallow Park to Humphrey Fysshe, the barrister son-in-law of Bishop Stillingfleet of Worcester. An inventory was taken of the contents of the house. 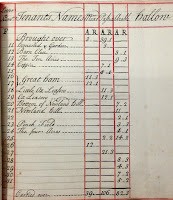 1705 - 2nd February (Candlemas day) Anna Bull leased for 7 years the Hallow Park grounds “enclosed rail’d in and divided” ..... “formerly in the tenure of George Baylie” to William Yeates, yeoman, of Hallow for the rent of £10 p.a. 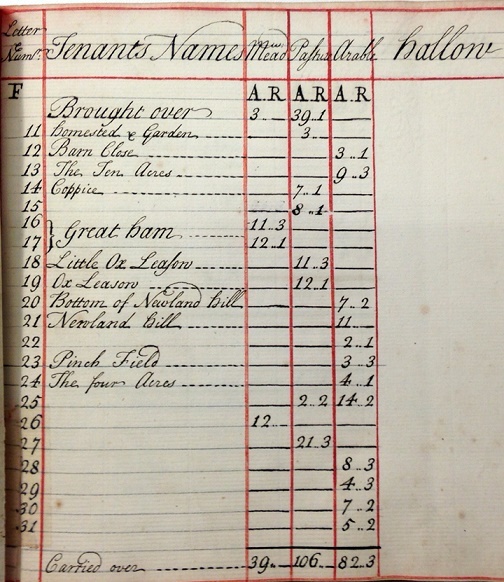 paid in two instalments subject to certain conditions concerning the farming of the land. To read the indenture, click here. 1707 - Anna Bull died. She left a bequest for the poor children which would lay the foundation for the village schools at Hallow and Grimley and also those at Madresfield and Malvern. Her brother William Lygon known as “the Correspondent”, held the lease of Hallow Park, but lived at Madresfield Court. 1713 - William Lygon’s daughter Margaret married Reginald Pyndar of Kempley, Gloucestershire and they initially lived at Madresfield Court. The two men seem to have fallen out and the Pyndars moved from Madresfield to Hallow Park, which is believed to have been their main residence until Reginald died in 1719. 1716 - William Lygon and his son Corbyn Lygon farm let the land within Hallow Park and elsewhere in the parish of Hallow to Richard Beane. 1718 - 2 September - The lease of Hallow Park passed to Thomas Savage of Elmley Castle and William Tullie of Gray’s Inn, Middlesex for the lives of William Lygon’s son Corbyn and his wife Jane (nee Tullie) and Rev. Thomas Gawton of Repton, Derbyshire. 1719 - After Reginald Pyndar’s death, his brother-in-law Corbyn Lygon leased the mansion in Hallow Park to a sub-tenant, Thomas Shephe(a)rd, later of Grimley. An inventory was taken of the contents of the house. 1720 - William Lygon the Correspondent died and his son Corbyn was named as the sole executor of his will. The lease of Hallow Park would then have passed to Corbyn Lygon. From the dates of the available leases it seems that Jane Lygon, Corbyn’s wife had died in 1728, Corbyn in 1729 and their son William before 12 February 1730. Reginald Pyndar’s brother William Pyndar became one of the “lives” in the three lives lease. 1741 - In the Inventory with the will of the spinster Margaret Lygon the following buildings and rooms can be identified :- A Best Stable, a Cart Stable, a Coach House and a Barn The farm belonging to the Park included a cellar, “by the stable”, store room and stable chambers and may also have included “other Places“ (Garret, Cellars, Kitchen) the final rooms listed Closett and Dressing Room included personal items such Margaret’s wearing apparel and may have been in the house in Hallow Park. 1741 - 28 April - Margaret (Corbyn Lygon’s sister) and Reginald Pyndar’s son Reginald Lygon (formerly Pindar sic), whose name had been changed under a 1735 Act of Parliament, signed the new lease. The other lives were Philip and William Pyndar, Reginald’s brothers. 1747 - The Doharty map and terrier of the Bishopric’s estate of Hallow Manor provides the answers to where the fields were situated that were mentioned in the 1741 and earlier leases. Hallow Park area - to view larger photograph, click here. (Right) Terrier Leasehold - click here to view larger photograph. (Left) Leasehold - R. Lygon (click here to view larger photograph). 1784 - The lease was re-granted by the Bishop of Worcester to Reginald Lygon for 3 lives. 1788 - Reginald Lygon died suddenly on 25 December 1788. Treadway Nash describes what happened. The weather was severe on that day and Mr Lygon had gone to church, received the Sacrament and returned home apparently fit and well. He tucked into a substantial meal at 3 o’clock, about 4 felt ill and died in the parlour at Hallow Park at 6. He was buried in Hallow on 3 Jan 1789. His monument was moved to Madresfield church in 1872. He had written his will whilst living at Hallow Park. 1791 - Lady Mary Douglas, Baroness Mordington, wife of William Weaver of the Royal Horse Guards died at Hallow Park and her husband died there too in 1796. However Joseph Berwick was an under tenant of William Lygon MP about this time, as he is mentioned in the 1794 Royal Directory of Worcester as living at Hallow Park. 1790 approximately - Sub-tenant - Joseph Berwick, Receiver of General Taxes for Worcestershire and later a banker. 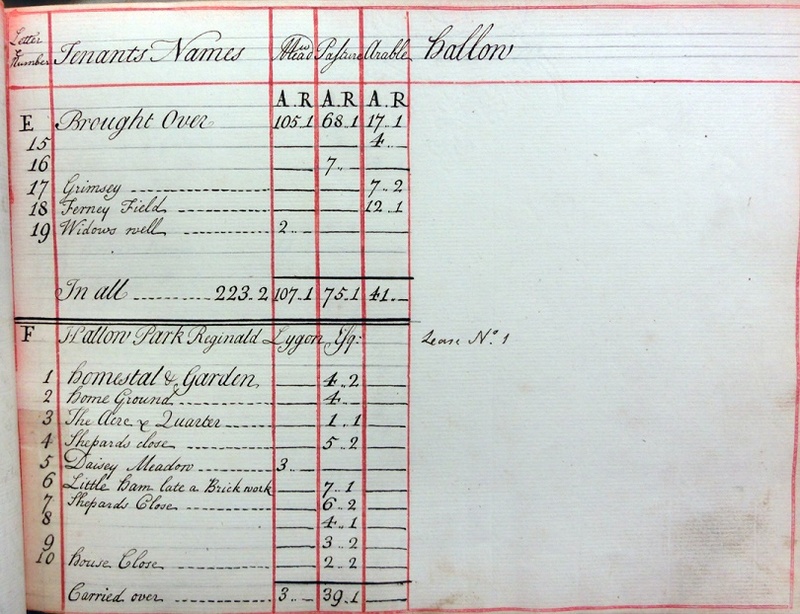 1797 - The new house at Hallow Park may have been built in that year. There is a reference in Lord Faringdon’s correspondence that Joseph Berwick’s new house was being built and that two Rembrandts purchased from Lord Faringdon were still being held by him until its completion. 1798 - Following Joseph Berwick’s death in March 1798, his second wife Anne and his brother Thomas, lived at Hallow Park. Thomas died later in 1798 and Anne remained at Hallow Park until moving to Hawford by 1800. 1805 - c.1815 John and Mary Sayer were sub-tenants of William, 1st Earl Beauchamp of Powyke. John was a barrister; Feoffee of John Fleete’s Hallow Manor charity and later President of the Worcester Library, Angel Street (1818). c.1816-1825 Sub tenants - Col Samuel Wall of the Worcester Militia and first wife Elizabeth Binns, who was the daughter and co-heiress of John Binns a Leeds banker, publisher and printer. Samuel Wall served as High Sheriff of Worcestershire in 1818.
c.1829-1838 James Mann the Elder (1762 – 12 Jan 1838) and his second wife Henrietta, daughter of Lady O’Brien. Correspondence with the wider Mann family and mention of James and his father Edward Louisa (sic) Mann can be found in the Walpole family papers. 1845 - August, the Berrows Worcester Journal reported those who had donated or subscribed to the Worcester Regatta. The list includes (Major-) General King of Hallow Park. It’s not known how long he lived at Hallow Park. 1849-1856 - Robert Burr Bourne (1799 -1885; Parish priest 1827 – Curate of Grimley (including Hallow) assisting Rev. H. G. Pepys, B.A., with his very large parish. Whilst Robert was living at Hallow Park his son, Lieut. Col Robert Bourne met Anna Eliza Baker the sister of Sir Samuel Baker of Thorngrove, Grimley, Worcestershire and they were later married in Kensington. Click here for more information. 1856, 12th - June. Trustees of Henry, Lord Beauchamp paid the Church Estate Commissioners £7,800 for the Hallow Park Estate and became the owners of the Estate. Thus ended 149 years of leasing the estate from the Bishopric of Worcester. 1856 - 8th December. Mrs Frances Augusta Jenkinson widow of the English Bishop of St David’s, John Banks Jenkinson. The Worcestershire Archive holds her lease and the Inventory of the Lygons possessions in the house prior to her taking up residence there. She died in 1860 whilst living in Hampshire. 1861 - Unoccupied at the time of the census. 1862-1877 - Captain John Pickup Lord and 1877-1884 Mrs Charlotte Hallett Lord. Although they rented Hallow Park they also had a home at Cherbourg House in Malvern. 1892, 29 March - c.1912 - Earl Beauchamp rented Hallow Park to Francis A Wood, a career soldier, son of the late Canon at Worcester, John Ryle Wood. In the 1911 census Francis John Adelbert Wood, Lt Col of Rifles, his wife, three children and four servants resided at Hallow Park. 1914 - The house remodelled to the design of Australian born Hubert C Corlette OBE who was in partnership with Sir Charles Nicholson 1895-1916. 1916 - The house was offered as a retreat to the Diocesan Missioners and in July Mr Rushworth went to look it over and found an Order of women using it as a Retreat. Mrs Wheeley Lea died and left the Hallow Park to the Bishop of Worcester. 1917 - Sold by the Bishop of Worcester, together with some cottages and land for £9783 16s 9d to Thomas McBean an Iron and Steel Merchant. 1927-1941 - Hallow Park was purchased by clothing magnate and philanthropist Joseph Banks. His wife, Elizabeth Banks, the mother of their four children died on 28 May 1940, just a few days after the gardens at Hallow Park had been open to the public in aid of the Queen’s Institute of District Nurses. Mr Banks remained at Hallow Park where he died on 11 December 1941 and was buried in Hallow churchyard. 1943, August - The contents of the house at Hallow Park were put up for sale on the instructions of Mr Banks son-in-law Michael Collett. Another son-in-law Michael T Downes may have lived at Hallow Park until it was sold. 1944-1946 - The Electoral Roll shows Albert C Prosser and his wife Alice at Hallow Park. He seems to have been a gardener and possibly a caretaker at Hallow Park. The next known owner was Thomas E Davies. He had owned Ledbury Preserves (Jam) Factory, Herefordshire. It is believed that Mr Davies bought an estate at Battenhall in the 1920’s from the profits of selling jam to the Army during WWI. 1946, January - Mr Davies put 150 Store cattle and a pedigree Hereford Bull up for sale at Stratford Stock Sales. Other sales followed, but it seems unlikely that so many animals could have been stocked just within the fields associated with Hallow Park. In October 1946 Mr Davies put the house and grounds up for sale as he was planning to move to Hilston Home Farm, near Monmouth. 1947-1959 - Dr Barnardos Home. The Reception Home, originally for 35 homeless and destitute girls relocated from 78 Alcester Road Birmingham, opened in Hallow Park in 1947. For more detailed research click here. The more recent history of Hallow Park, including 1981 – 1988 Independent Special School for Girls, will be added at a later date. I would greatly appreciate a photo of the main house. I was a Doctor Banardo’s child and spent many a happy time in that house and grounds. I feel blessed to have been a part of Hallow Park and still recall how wonderful life was when I was there. I now live in Cornwall but it doesn’t quite stir my soul as much as seeing Hallow Park again. Would it be at all possible to send a photo to my email address. Thank you for your email. I have attached several photos for you, 3 of the children's homes and 3 modern ones of Hallow Park itself. The Hallow fete was in 1953, I am the little girl half way down on the right hand side, my father is the tall dark chap. I didn't live in Hallow then, but on the other side of the river in Claines. We used to come to the Camp Inn for a drink, either walking across the fields when we would whistle for the ferry. Other times we would travel by car (Morris) via Ombersley. You may not remember these places. We would love you to write down your memories for us if you have time. We do know that some girls that worked there married local chaps, but it would be super if you could let us have a few of your memories. I moved across the river to Hallow in 1964, six months after my marriage and 'touch wood' we are both still going strong. Dr. Barnardo's under construction in the grounds of Hallow Park, 1955 and completed 1956.